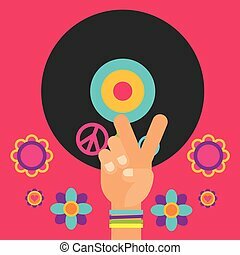 Vinyl peace love music. 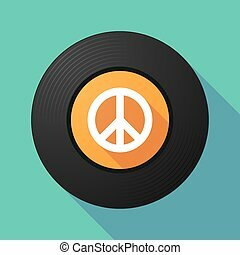 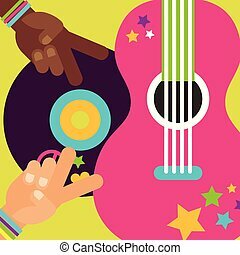 Retro-style text design of the words, peace love music, with a guitar, peace symbol and vinyl record in colorful gradients. 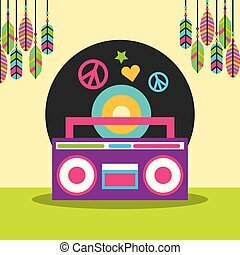 Retro-style text design of the words, Peace Love Music, with a guitar, peace symbol and vinyl record in colorful gradients. 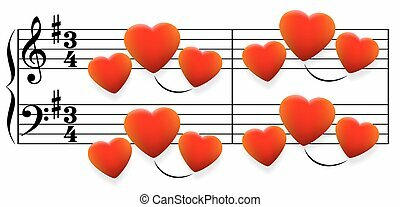 Love song composed of glowing red hearts instead of notes. 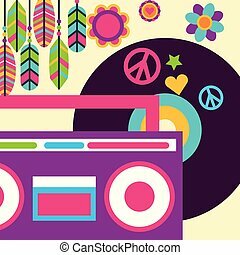 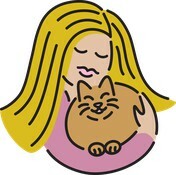 Isolated vector illustration over white background. 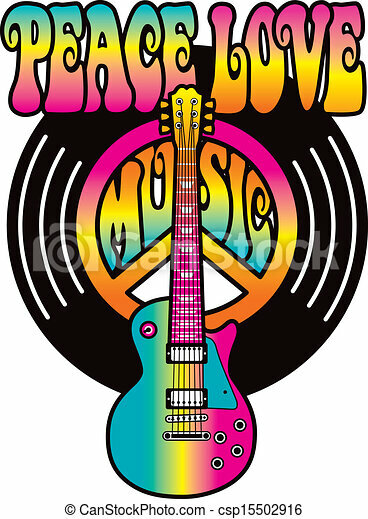 Retro-style type design of Peace, Love & Music with a peace symbol, guitar and heart in red and green. 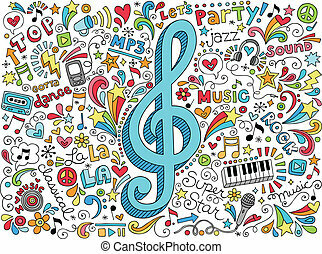 Type style is my own design. 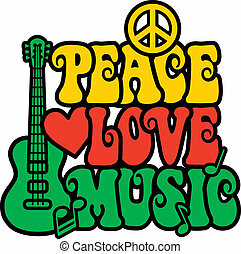 Retro-style design of Peace, Love and Music with peace symbol, heart, musical notes and guitar in Reggae colors. 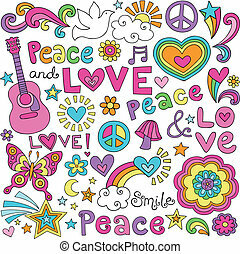 Type style is my own design. 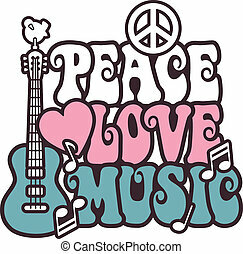 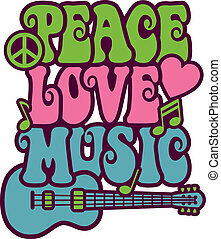 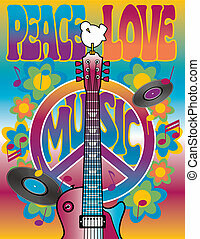 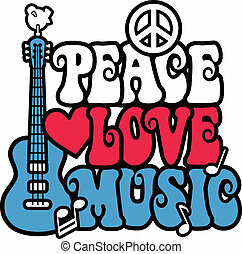 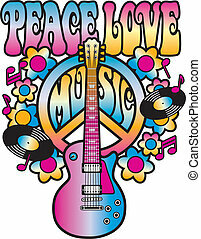 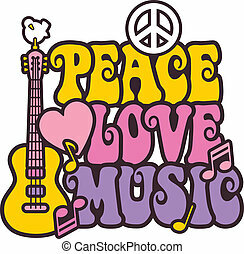 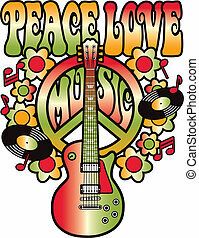 Retro-style design of the words, Peace Love Music, with a peace symbol, guitar, dove, heart and musical notes in red, white and blue with black outlines. 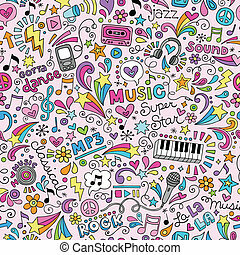 Type style is my own design. 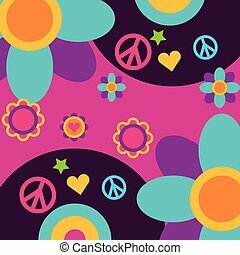 Iconic vector design of a peace symbol, heart and barred note in pink, orange, brown and white. 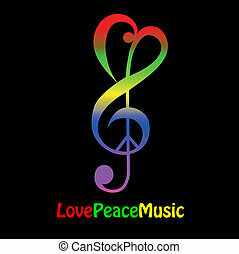 Iconic design of Peace, Love and Music with guitar, peace symbol, heart and musical notes in Rasta colors. 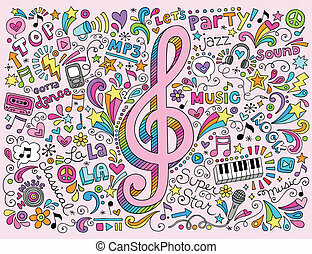 Type style is my own design. 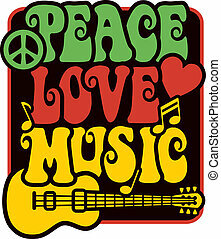 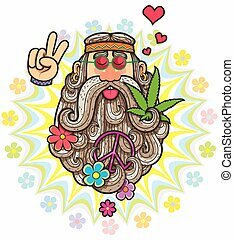 Retro-style design of Peace, Love and Music with peace symbol, heart, musical notes and guitar in Rasta colors. 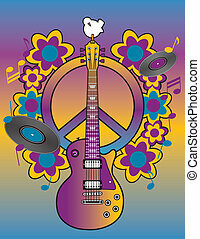 Retro -style illustration of a guitar, peace symbol and dove with the words Peace, Love and Music. 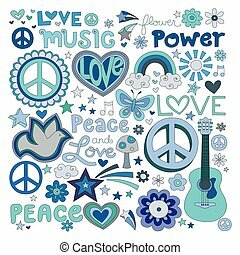 Typestyle is my own design..
Retro-styled icon design of a peace symbol, heart and musical note in red, white, blue and black. 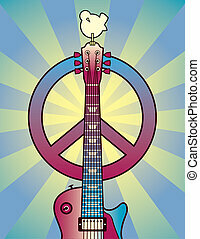 An illustration of a guitar, peace symbol and dove dedicated to the Woodstock Music and Art Fair of 1969. 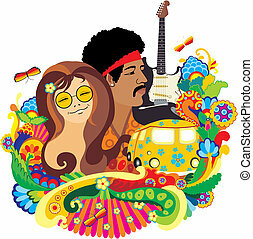 A vector illustration celebrating the Woodstock Music and Art Fair of 1969.